There is Phenomenal Growth in Online Travel Today. Online Travel Sales are expected to cross $800 billion by 2020 and will account for 60% of Bookings. It is predicted that the Travel Technology Sector will be a $12 billion/year industry by 2019. Looking at this trend, Tourism companies worldwide are looking to invest in Travel Technology to capture this growth and stay ahead of the curve in this ever changing industry. We are seeking strategic partners to profitably distribute our award-winning travel tech solutions in different geographies. With the right partners, we are confident that together we will be able to exploit this enormous opportunity! We offer flexible partnership opportunities as per your interest, reach, influence in your local markets. 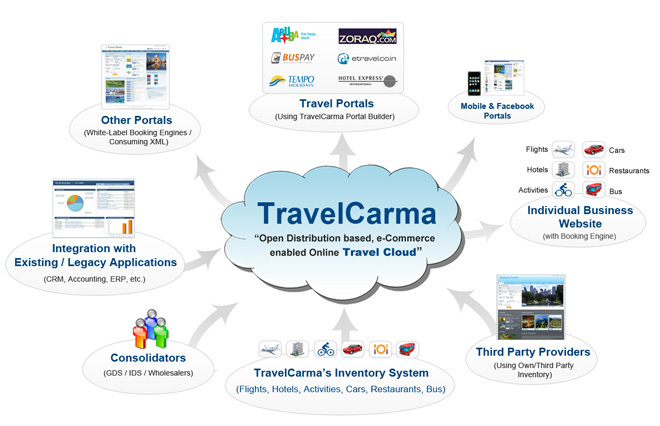 It is an extremely rewarding program which promises great returns to every partner associated with TravelCarma. By partnering with us, established IT companies and digital marketing agencies can leverage our 20+ years of experience in the travel technology domain, and offer their clients a world-class travel e-commerce solution in addition to their own products and services. You can combine your local experience, credentials and services with our enterprise software to offer your customers an integrated solution for all their needs under one roof! This is will not only help you keep your existing clients happier but also help you win new clients in what is one of the fastest growing industries. 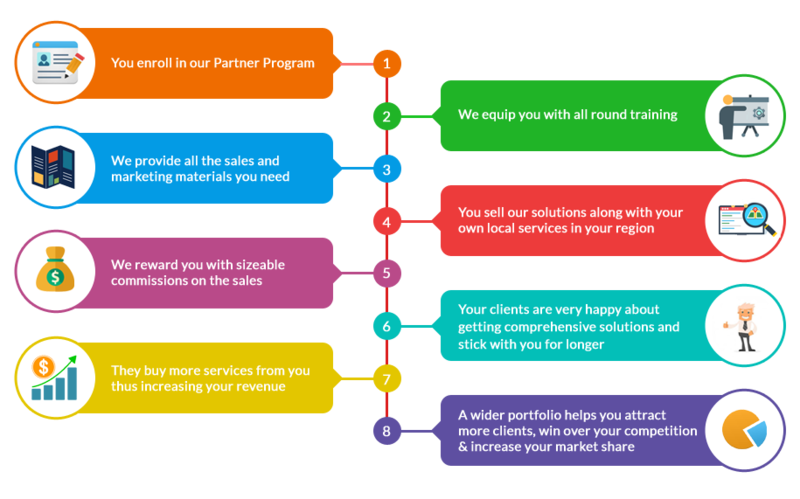 We will provide you a handsome share in the revenue generated from each sale you make, plus a number of other benefits highlighted below. Have expertise in travel website development? Great! You can focus on building awesome looking websites for your clients and we can provide the booking engine and back-office. Have a great CRM/Marketing Automation product that you’re proud of? Awesome! You can connect your product with our online booking system and offer your customers the ability to seamlessly manage their bookings and run their marketing campaigns from a single platform! Provide business consulting to tourism companies? Well, now you can provide them world-class technology solutions too! Our flexible system architecture will allow your clients to easily integrate their existing technology with our platform to protect their investments and data. Our Partners serve as TravelCarma’s representatives in specific geographic areas. Their employees engage customers and close sales, assuming responsibility for all client care, contracting, pricing and billing. If you're interested in joining our partner program, please write to us on partners@travelcarma.com or fill out the form below. Like what you see? Get in touch today and take your host agency to the next level with Symbion!